Water is metered into the process vessel. This is often heated to around 130-140℉ (55-60℃) to aid dilution/hydration of other ingredients. The first ingredient added is normally the surfactant, as other additives, particularly those which affect viscosity, can make dilution of the surfactant more difficult. Conditioners and other ingredients are added. pH is adjusted to the required level. Sodium chloride or other viscosity modifiers are added last, along with color and fragrance. Aeration must be avoided, as this can lead to clouding of clear shampoos, and problems where packaging is filled by volume rather than weight. Silicones are immiscible with water and can be chemically incompatible with some surfactants, making them very difficult to emulsify or suspend. 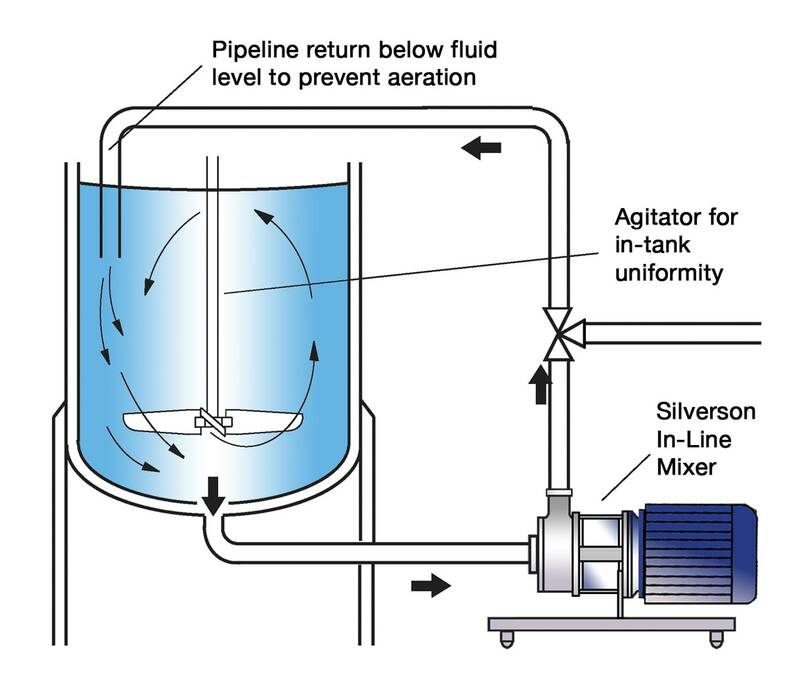 Agitators do not produce sufficient shear to reduce silicones to the finest possible droplet size and obtain a stable emulsion/suspension. They will tend to vortex, increasing aeration. Many ingredients have a much higher viscosity than water. When blending these with an agitator, the higher viscosity material can form globules which are simply washed around without being diluted/dispersed. The addition of sodium chloride becomes increasingly difficult as the viscosity rises. Vigorous agitation is required to overcome these problems, however, with conventional agitators this can lead to aeration. The vessel is charged with water. The in-tank agitator and In-Line mixer are started, and the surfactant and other ingredients are added in the order specified. The powerful suction created by the In-Line mixer draws the materials through the pipeline into the rotor/stator workhead. Centrifugal force drives the materials to the periphery of the workhead where they are subjected to intense high shear in the gap between the rotor and stator. The product is forced out through the stator and recirculated back to the process vessel as fresh material is drawn into the workhead. 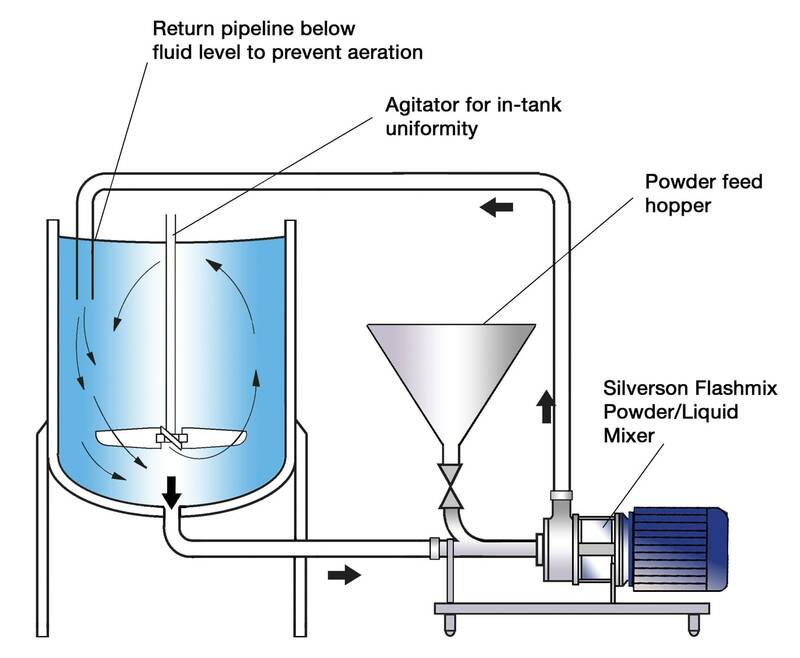 The high shear mixing action of a Silverson can rapidly blend liquids of widely differing viscosities. 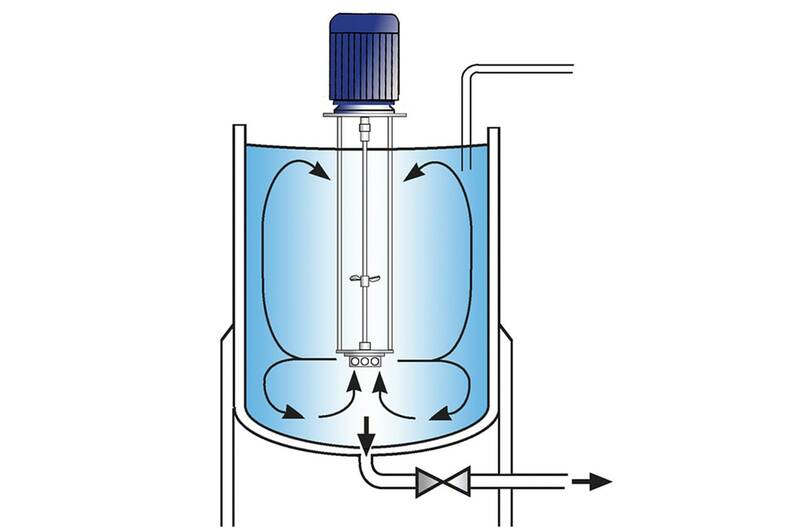 The In-Line mixer, pipework and vessel form a closed system, eliminating aeration. Significantly better yield of thickening agents than can be achieved by traditional methods. The following Silverson machines are used for this application, the suitability of which is dictated by factors including batch size, formulation and viscosity of the end product.